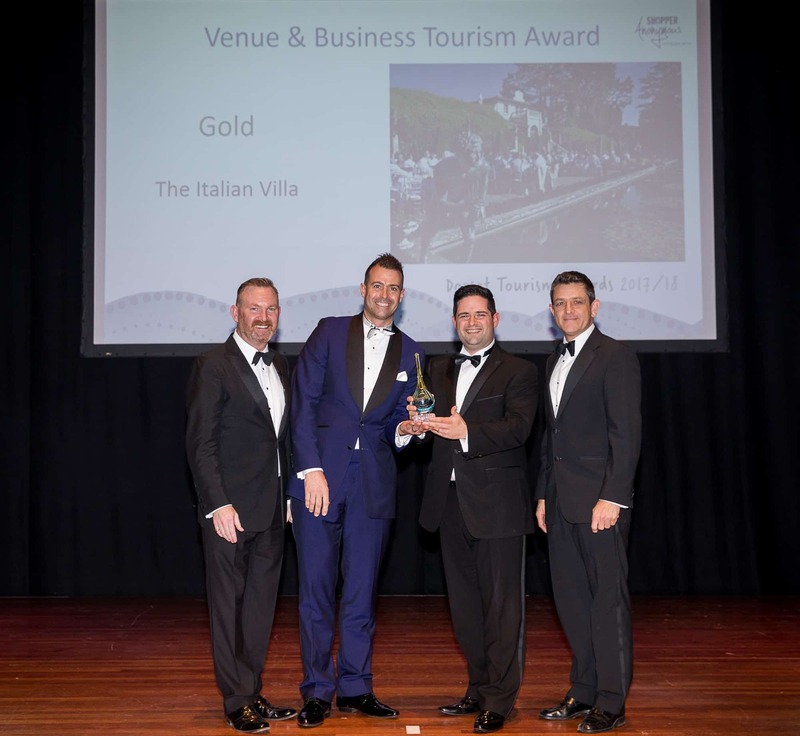 The Italian Villa, based at Compton Acres in Poole, has won the Gold award for “Venue & Business Tourism” at the annual Dorset Tourism Awards. The multi award-winning venue was put through a gruelling multi-stage judging process. This included mystery visits, and The Italian Villa came out top in their category. The illustrious Dorset Tourism Awards ceremony took place at The Lighthouse, Poole on Thursday 16 November 2017. The night was hosted by BBC Radio Solent’s Steve Harris and celebrated the very best tourism businesses from across Dorset. Trophies were handed to 66 winners from all corners of the county – whittled down from a record number of entries this year. The judges congratulated The Italian Villa for excelling through the stages of the judging process. They were particularly impressed by the sheer number of people The Italian Villa bring into the region. Their bespoke weddings, corporate and private events packages attract visitors from across the UK and even abroad. Dorset Awards winners will be fast-tracked into the South West Tourism Excellence Awards in Torquay in February 2018. If successful in the South West Awards they’ll be entered into the National Visit England Awards in April 2018. Are you planning your dream wedding? Looking for an exclusive wedding venue to hire in Dorset? Want a choice of bespoke wedding packages tailored to suit you? Look no further, contact us today! To book a viewing at the multi-award winning wedding venue The Italian Villa, call 01202 816074 or email info@the-italian-villa.co.uk.